Pugsley is one of New Zealand’s leading war historians (and a jolly good bloke) and has written more than a dozen military history books, including his most recent: A Bloody Road Home: World War Two and New Zealand’s Heroic Second Division (Penguin, 2014), written— unusually for a war history book—entirely in the present tense, giving the narrative a thrilling sense of immediacy. Pugsley’s approach to war writing is to begin with the personal and expand out to the more general. This, he says, is how your book becomes attractive to the general public and not just to students and academics. Part of his success, he goes on to say, is knowing what to include and what to leave out—a sentiment reiterated by his publisher and chair of the session, Penguin’s charming Jeremy Sherlock. Serendipity plays a part in what Pugsley writes. He gives a fascinating example of interviewing a WW1 veteran about Gallipoli, only to discover the man had been the driver of the padre called to the execution of one of the five New Zealand soldiers sentenced to death for desertion in WW1. His story had never been told, until Pugsley uncovered it. I scored this wonderful anthology of NZ War Writing during question time. Out now (2015) through Penguin Random House. Thank you, Jeremy! I love that Pugsley is proud of his unbridled passion for war writing—for being grateful for the opportunity to ‘surf the Gallipoli wave’ and of his dream coming true: researching military history and having someone else pay for it. Dr Mary Paul is a Robin Hyde scholar and editor of Your Unselfish Kindness: Robin Hyde’s Autobiographical Writing (Otago University Press, 2012). 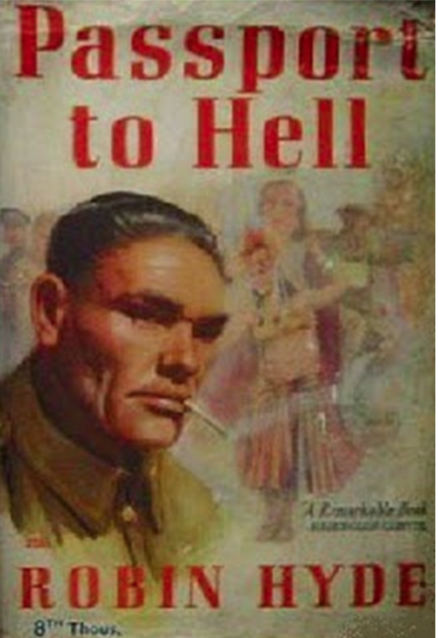 I’ve read Hyde’s travel book Dragon Rampant (read my review here) about Hyde’s experience of the Sino-Japanese war. 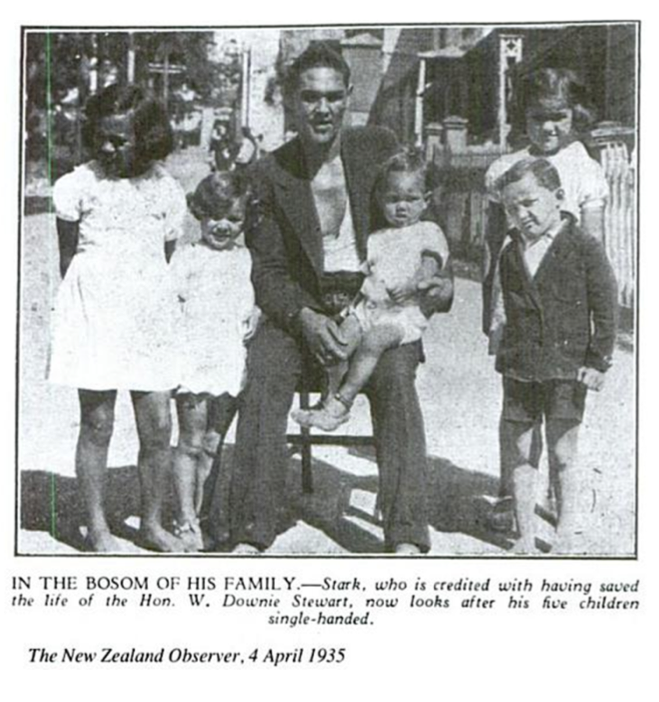 It is, however, Hyde’s Passport to Hell, the biography of WW1 renegade soldier, James Douglas Stark (‘Starkie’), who Hyde interviewed in Mount Eden jail in the 1930s, that Paul focusses on today. Paul gives a visceral and emotive reading about Starkie and his mates burying a fellow soldier, and the temptation to loot his money belt. It read like a novel, but it was the truth—a truth corroborated by Pugsley, who had recorded similar stories from other veterans. I am particularly interested in understanding where a writer sits on the sliding scale from fact to fiction (a topic discussed in my Auckland University presentation ‘Creating Worlds: Research, Imagination and Serendipity in Fiction Writing’ soon to be published in NZ Author magazine‘s Summer 2015 issue) and this session gives rise to some surprises in regards to that. The first is that Pugsley recommends beginner war historian should start by reading the novels of that time because, even though they are fiction, they are based on gritty personal experience. Pugsley concludes the session with an unpublished reading of a moving piece he wrote at Chanuk Bair, the night before centenary celebrations in August 2015. The audience is close to tears as he chants the names he sees—and recognizes from his research—carved on the New Zealand Memorial. ‘The ground is the only unbiased spectator of war. Walk the ground and ask yourself: what is the ground saying?’ – Christopher Pugsley. I walked out of Morra Hall into the sunlight and headed towards the Oneroa shops. My phone beeps and I read with horror that Paris has been attacked. My mind struggles to create order out of the chaotic media scrum. My mind’s lense zooms dramatically outwards, and I wonder whose personal narratives will rise out of these tragic and devastating attacks, to help future readers understand how this piece of history—this little war—happened and what it all means. Thank you to Dr Mary Paul for sending in these fantastic images featuring Starkie. You’re right, Mary, he is rather gorgeous looking!